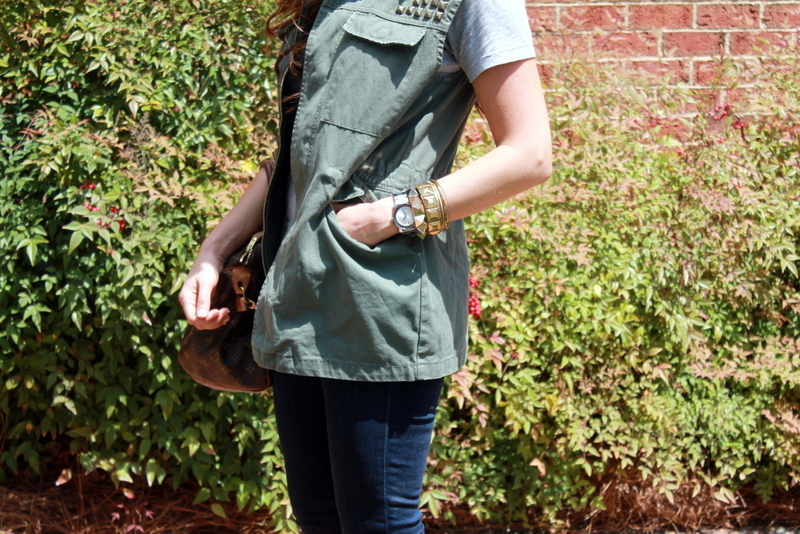 I’ve been living in this embellished utility vest from Urban Outfitters! 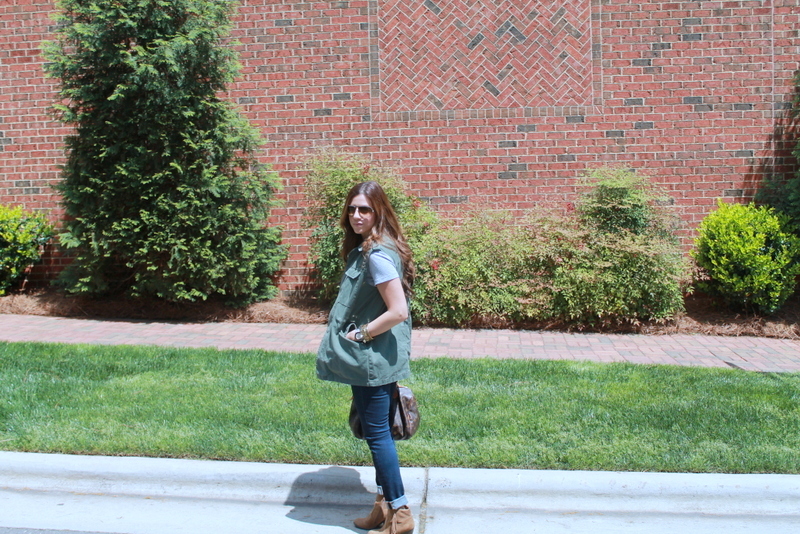 For this particular Military Chic look, I paired it with jeans, but throw this bad boy over a dress, skirt or cute shorts to make any outfit just a little bit cooler. For a less expensive option, get this at Forever 21. 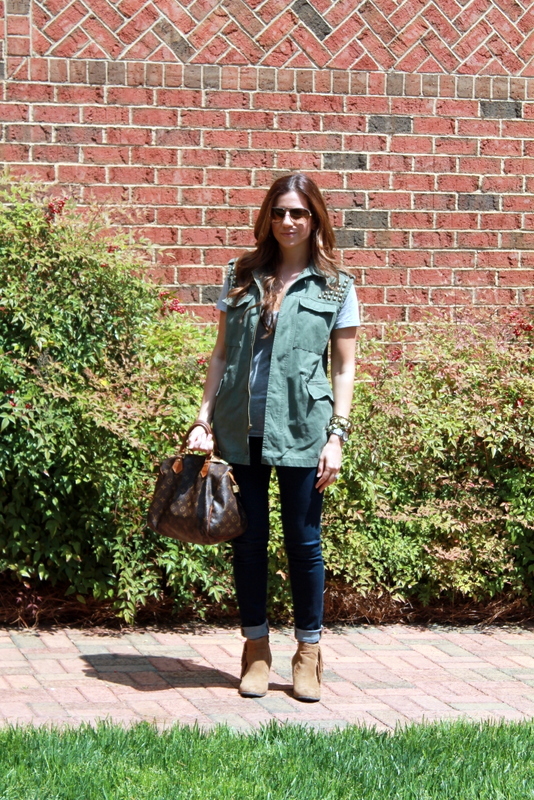 You would be surprised by how many things a cargo vest goes with. 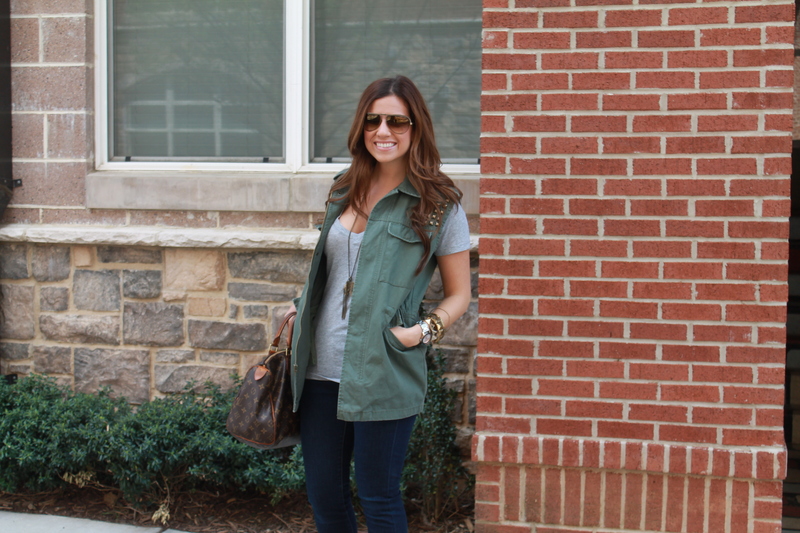 I know it’s not shown here, but I especially love it paired with something super feminine.